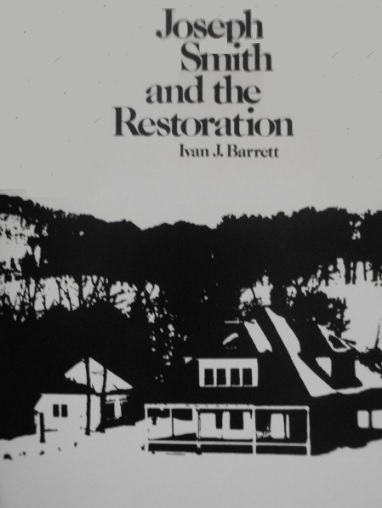 Synopsis: This is a one-volume history of the Restoration, from Joseph Smith's heritage and beginnings to 1846 just before the exodus from Nauvoo. Not only does it recount in great detail the experiences of Joseph Smith, it also includes side stories of his contemporaries like the mission experiences of Wilford Woodruff and also that of Heber C. Kimball and Orson Hyde, for example. Strong Points: This book is a fascinating read. The cover looks bland, but inside the book is bounding with incredible accounts of the Restoration that keep the reader riveted. It is also an excellent repository of information all found in one volume. If you were to only read one book about Joseph Smith and the Church History of that period, this would be the one I would recommend to you. Weak Points: I know this sounds childish, but I think the book could have been enhanced by having more and better pictures. I say this only because I think pictures are important with historical books of this nature when trying to put the reader in the historical place and time. Also, a more exhaustive treatment of the more controversial and less-understood aspects of the Prophet's life would have been welcome.